Well I see no page for the new version so I post my opinion ii. I availing oneself of version 2 was released in January. There is also a small LED on the cot to see when the pedal is activated. Usage is very simple. A switch to activate the effect (as in standard wah). The small problem is that it is hard to activate when you play sitting down. So I tape a small piece of mdiator on the party support the switch and the engagement becomes easier. Availing oneself of a cry baby I only sold it to buy me at this wah. 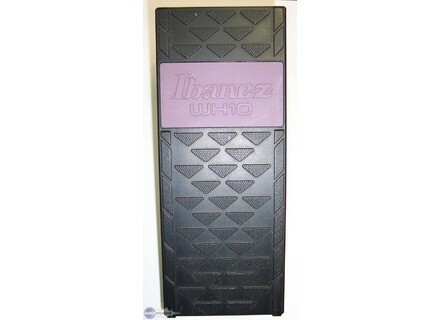 There is no picture, ibanez nettment is more musical than the Dunlop. The curve is better Dfine frequency drives, the bass are not comic and treble do not pettent ears. The knob depht can intensify the effect but it also adds a boost so he must find a good compromise between the intensity of the effect and the output volume. I used a Boss DS-2, the sound was good. But I have a T Rex Mudhoney acqurir to replace my boss. I did not test with my wh 10 but I feel that the marriage of two is going to sound of thunder. Otherwise I use this wah with a Start and a Blackstar HT 5. I do not hide it, I am a very big fan of mister Frusciante. But this limited solely wah style red hot is a big mistake. It is very versatile. It goes both clean when saturated (can be less with the big distos). I t very surprised its selling price. I was expecting something of the style 150 more. And not only 85 for this gem. Wah this deserves to be widely known more.